Growing up, I always LOVED to read. I would sometimes stay up till 2 or 3 in the morning, as a teenager, to finish a good novel. So when it came time to teach my own kids to read, I was excited to pass on this love of reading to them. My daughters have also gained a love for reading. My son, who is actually a very good reader, has struggled more to gain that desire, or love, for a good book. Every day, it was a struggle to motivate him to do his 15 minutes of reading for homework and I wondered, “How do I motivate my child to read if they don’t want to…at all?” For him, it wasn’t about ‘learning’ to read, because he caught on to that really fast. It was about WANTING to read. After much trial and error, here are 3 things that finally worked for this particular child. I hope, if you are in the same situation, that maybe these will help you as well. Make sure the books are FUN!!!! My son kept bringing home books from his class that his teacher wanted him to read for his particular level. We were supposed to mark them off on a sheet of paper and then send them back to school. Then the school would send home 5 new books for him to then read. Maybe this works for some kids but it DID NOT work for him and I really didn’t like the idea of the school telling us WHAT books we needed to be reading with our son. Would YOU like someone telling you WHAT books to read? That sure doesn’t sound fun to me! I contacted the teacher and she agreed that it might be best if he just picked out books that HE liked at home or the library instead. What a difference! His interest suddenly peaked when he knew he could read about things that really interested him. His favorite thing to read about is now sharks! Don’t be afraid to tell your child’s teacher NO if they insist your child HAS to read only certain books. You are the parent, and you know better than anyone else what works best for your child! Motivate with technology! I know most kids enjoy screens, whether it’s tv or a tablet, or something similar. It can be hard to find balance, and if your kids are like mine, they will give up a book for screen time almost every time. Why not find a balance between the two? 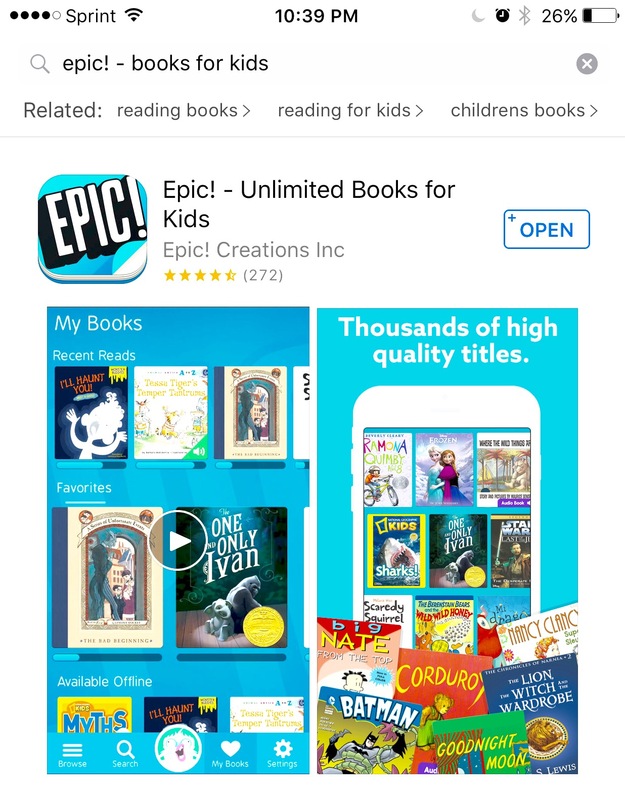 We recently came upon an amazing app called Epic! that is like Netflix for books! It’s created for kids and my son LOVES it! He can search for any topic and find an amazing selection of books to read. These are really high quality books. Since my son loves science he loves to search for books from anything to sharks to insects or science experiments. Epic! tracks how many minutes he has read, how many books he’s read, and what topics he is interested for future recommendations. It also gives him badges when he reads a certain amount. I cannot tell you what a life saver this app has been. I have been telling all my family and friends about it! It’s also available in the App store, on Google Play, AND kindles! YAY! The first month is free and it’s only $5 a month after that for your whole family! 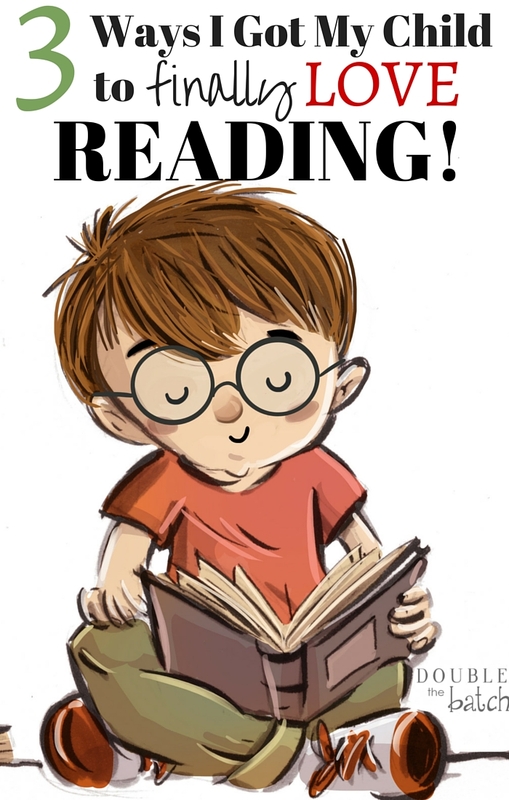 Please share if you have an amazing way to motivate a child to read! I would love to hear it!